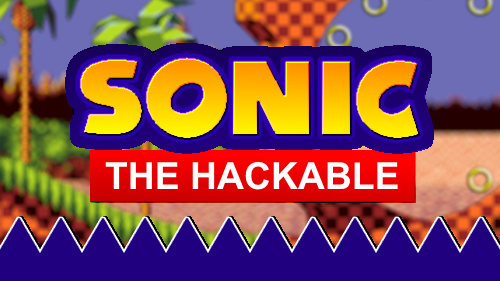 Sonic the Hackable (formerly known as "A Generic Sonic 1 ROMhack") is a ROM hack which main focus is level design. The second and third acts of a zone have their own unique gimmicks to make them stand out from the original. The current levels are modified: GHZ 1-3, MZ 1-3 and Special Stages 1&2. After Dr. Eggman's defeat in Sonic the Hedgehog 4: Episode II, the Death Egg MK II has crashed into the ocean next to South Island. The giant wave created by the Death Egg MK II's collision with the ocean surface has even caused parts of the island to go underwater! Not long after Dr. Eggman managed to escape to land, he became enraged upon seeing where he was. 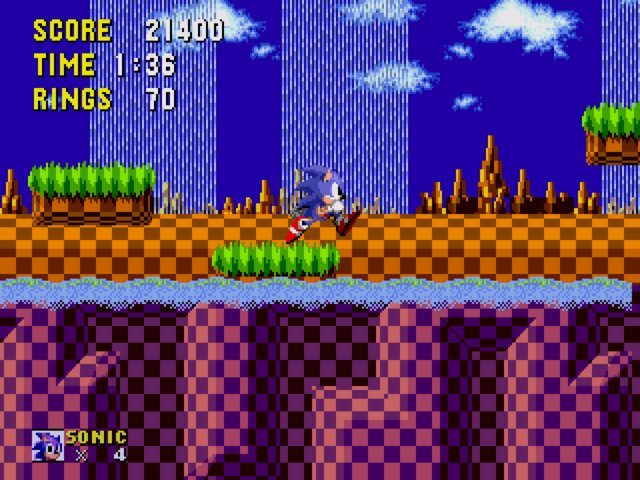 South Island was the place where his first defeat by the hands of Sonic the Hedgehog had happened, so this island held a particularly bad memory for him. Filled with rage, Dr. Eggman swore that this is the island where he will end Sonic once and for all. Now, by using his past knowledge of the Island and by renovating his old base, Dr. Eggman built his new fortress on South Island. Dr. Eggman has also planned to use the six chaos emeralds (which Sonic apparently lost, again) as a power source to relaunch the Death Egg MK II. It's up to Sonic to stop him (again)! All credit goes to the original creators. Special thanks to LuigiXHero for letting me use my Sylvania Castle Act 3 SMPS remix, which ended up sounding the same as his. ACT 1: I do not like how GHZ1 opens. It is too dangerous and too difficult for the very first action a player takes in the game. At least you added the spindash. Also, the area below the broken bridge? That is too mean for the first level! You need to ease players into the game and ramp up difficulty appropriately. Everything else in that level seems alright, though I had quite a bit of sprite flickering when breaking down walls leading to lots of items, objects, and enemies. ACT 2: The underwater stuff was a nice change of pace! But some of the spike placement was a bit dickish. Also, having Chopper jump out from an area that is not a bridge felt very wrong. On top of needing to fix the graphical issues with the water graphics, you should look into having a different background for the underwater areas. It doesn't look right the way it currently is. This can be achieved pretty easily with clever use of the chunks to obscure the main background. 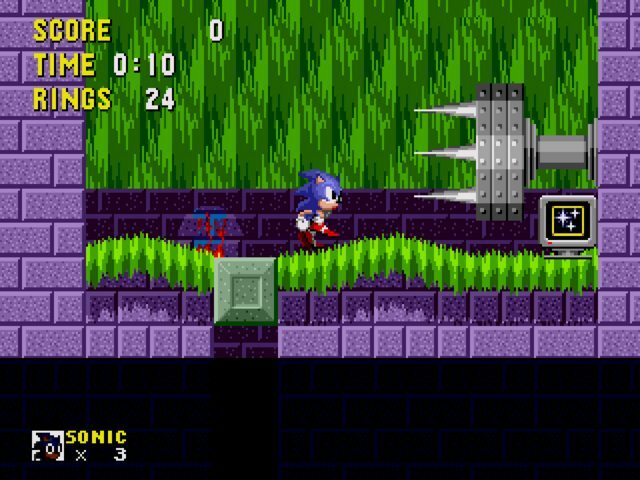 Also, that platform you land on after that big automated sequence at the start shouldn't fall out under the player's feet into a pit of spikes. That's just mean. 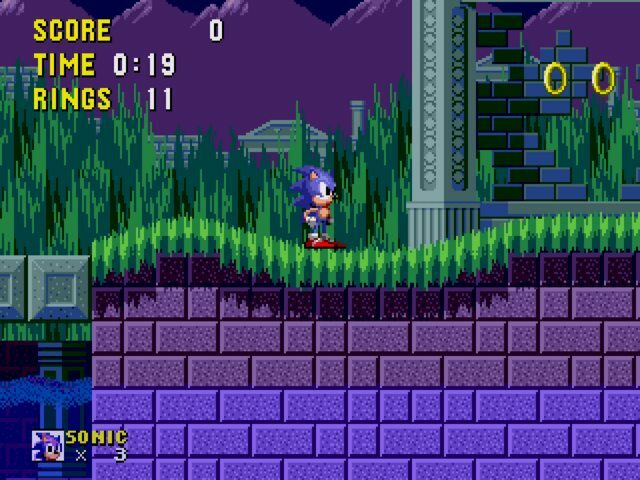 ACT 3: Aside from a sequence involving jumping across moving platforms above a spike pit, I've got no real issues with this stage. Liked what you did with Act 2 and Act 3 but Act 1 was not as good. It was too hard for a first level and it had dickish bottomless pits. Rule of thumb on a Sonic game is to let the player know when bottomless pits are and use em sparingly. Bump: new update and the download is back up. Check the opening post for more details. I did not liked that the act 1 of both stages are just as the originals, but since the others have different stuff i can see why its like this. The Lost Labyrinth SMPS is high pitched and doesnt sound so good, while the title screen SMPS is kinda loud and highpitched, but an instrument change may solve the pitch thing. 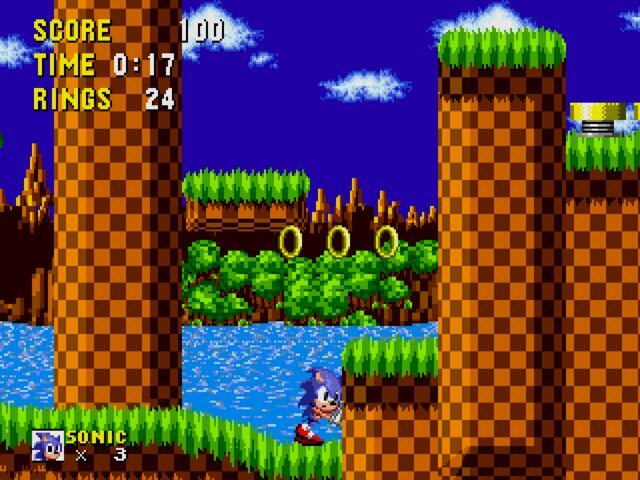 I hope you don't plan to use more water acts because it will it way hard and annoying, And finally, the Marble zone act 2 and act 3 palettes could be better and more different than the original. But I can see the effort you putted into it, and the hack is taking an interesting way. I hope to see more of it.